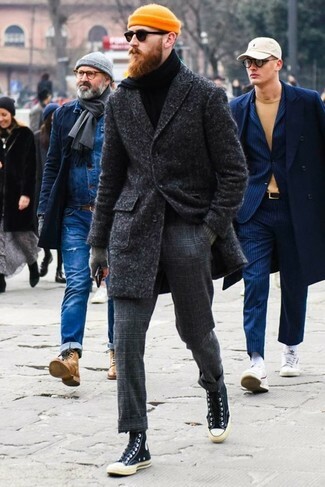 Consider wearing a charcoal overcoat and charcoal check wool dress pants like a true gent. For something more on the daring side to finish off this look, rock a pair of Rick Owens DRKSHDW mid top sneakers. 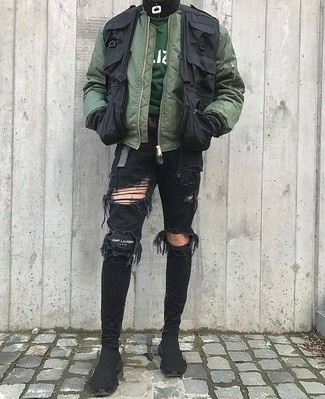 If you want to look cool and remain cosy, marry an olive bomber jacket with black ripped skinny jeans. Black canvas high top sneakers work wonderfully well with this getup. If you're on the lookout for a casual yet seriously stylish outfit, marry a white and red and navy plaid long sleeve shirt with olive chinos. These two garments are totally comfortable and look great together. Want to go easy on the shoe front? 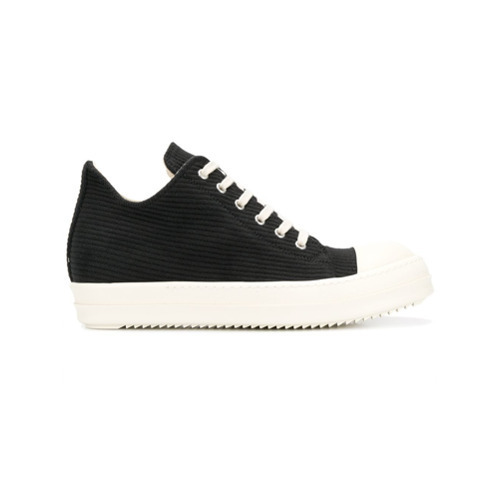 Grab a pair of Rick Owens DRKSHDW mid top sneakers for the day. If you're after a casual yet stylish outfit, pair a blue denim jacket with tobacco skinny jeans. Both items are very comfortable and look wonderful when worn together. For something more on the daring side to complement this ensemble, throw in a pair of black canvas high top sneakers. 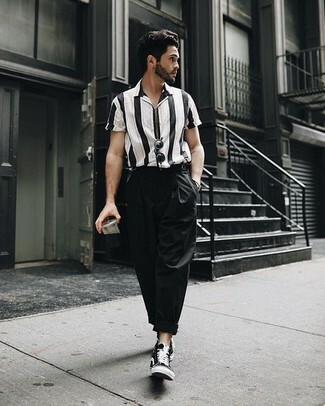 If you're scouting for a casual yet on-trend ensemble, wear a black and white vertical striped short sleeve shirt and black chinos. Both garments are very comfy and look amazing when paired together. For something more on the daring side to complete this look, go for a pair of Rick Owens DRKSHDW mid top sneakers. No matter where you go over the course of the evening, you'll be stylishly prepared in a black and white houndstooth overcoat and black dress pants. Opt for a pair of black canvas high top sneakers to make the ensemble more current. Such must-haves as a teal puffer jacket and light blue jeans are the perfect way to introduce some masculine elegance into your day-to-day repertoire. 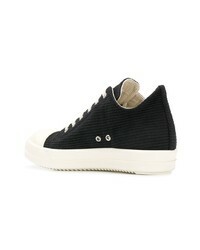 Rev up the wow factor of this look by sporting Rick Owens DRKSHDW Mid Top Sneakers. 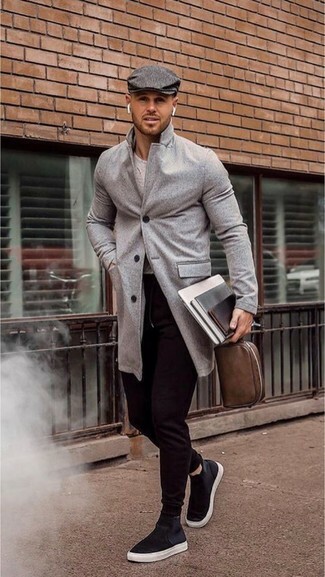 If you're on the lookout for a casual yet seriously stylish ensemble, opt for a grey overcoat and black sweatpants. These two garments are totally comfy and look great when paired together. 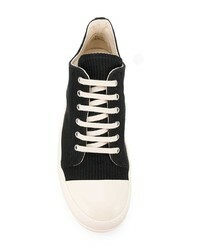 For something more on the daring side to finish off this outfit, go for a pair of black canvas high top sneakers. If you're all about functionality dressing when it comes to your personal style, you'll love this stylish pairing of a yellow tank and charcoal sweatpants. 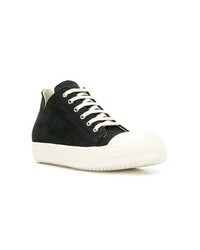 When it comes to shoes, this getup is round off nicely with Rick Owens DRKSHDW mid top sneakers.